In Colombia, most people are of mestizo heritage. There are also a lot of people of European descent, as well as mulatto, black, mixed black and native and some native groups. 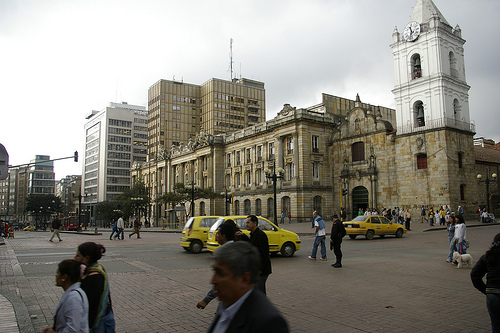 The vast majority of people in Colombia speak Spanish, but about 500,000 people speak native languages. This is a very small percentage of the population, so people can mostly get around this country by just speaking Spanish. About 90% of the Colombian population is Roman Catholic, and the church has been historically influential in society. Churches are often involved in family life and marriages, and sometimes even greater social programs like education, social welfare and union organization. Local priests are regarded as authority figures in communities. Families are very important in Colombia. Homes are generally occupied by nuclear families, but people will often be close to their extended families and visit and communicate with them often. Elder family members are seen as wise and experienced. Children often live with their parents until they get married. 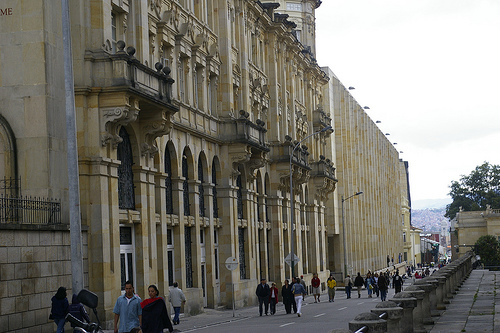 Colombia is considered a hierarchical society, and people earn prestige through age and title. Older people are considered at the top of many hierarchies, so they will usually be served drinks and food before anyone else. Senior people also hold the responsibility on making decisions on behalf of the group. When greeting a Colombian, the typical male gesture is a handshake with eye contact. Colombian women will grasp forearms rather than shaking hands. Women who know each other will kiss on the right cheeks; men who know each other will hug and pat each other on the shoulder. You should refer to people by their title and their surnames; they use both parents’ surnames, with their fathers’ first and then their mothers’. People give gifts on birthdays, Christmas or Epiphany (January 6). Many girls celebrate their 15th birthday with a big party and will receive greater gifts like gold. If you go to someone’s house for dinner in Colombia, it is polite to bring a small gift like fruit, a potted plant or flowers. Send flowers in advance, but refrain from lilies or marigolds. Colombians also appreciate nice imported liquors. In terms of eating, always wait to be seated. Have your hands visible at all times, and do not rest elbows on the table. Utensils are usually used with all types of foods, even fruits. It is fine to leave a little bit of food on your plate when you are done eating. Yo … the name of the country is actually ‘Colombia’ with two o’s, no ‘u’. Isn’t Mestizo pretty much the groups that you mentioned in your second sentence. Mestizo means a person of white and indian mix. How about that the Colombian women are schemers and men should watch their backs, because they may want a green card.